Hanoi (VNA) - The Ministry of Industry and Trade (MoIT) is considering allowing companies that use a lot of power to buy electricity directly from power plants. Speaking at a press meeting in Hanoi on April 5, Nguyen Anh Tuan, director of the Electricity Regulatory Authority of Vietnam (ERAV), said they have been working with international consultancy firms to study the mechanism. “The pilot implementation aims to establish the competitive retail electricity market in 2021,” Tuan said. The ministry launched the competitive power generation market in 2012 and the competitive wholesale power market at the beginning of this year. Since then, 10 percent of the country’s total power capacity has been sold to power generation firms directly. 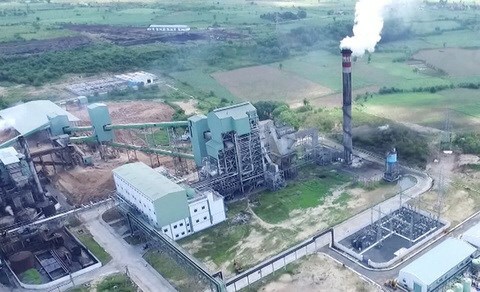 From the beginning of this year, in addition to Vietnam Electricity (EVN), five other power corporations have been able to buy electricity from power plants. The ministry plans to gradually increase the number of such corporations in the competitive wholesale power market. The MoIT said after three months of running a competitive wholesale power market, the difficulties are mainly related to taxes and infrastructure as the number of transactions in the market has sharply increased. The ministry has to resolve issues of operation at power plants to ensure safe and stable operation. Tuan said they will continue to instruct agencies to complete infrastructure and hold training courses on the power market. “The ministry is expected to review the operation of the competitive wholesale electricity market this month to collect difficulties to have timely solutions to resolve the issues,” he added. Renewable power plants have not participated in the competitive market as only those with capacity of more than 30MW can join the market. The operation of the competitive wholesale electricity market from the beginning of the year has brought good opportunities to power buyers and sellers as well as customers.